In my capacity as an attorney, I am representing Rabbi Haiyun and the Masorti movement. The story is not surprising. Every such occurrence reminds us again that doing away with the Orthodox rabbinic monopoly over personal status matters of Jews in Israel is long overdue. As was the case with the arrest of Anat Hoffman, leader of the Women of the Wall in Israel, which provided WOW the boost and exposure that it never enjoyed in the twenty-five years preceding the arrest (making their cause one of the top priority issues for wide circles among world Jewry), so too the zealous rabbinic court, which misguidedly saw the case pending before it as an opportunity to undermine Masorti Judaism in Israel, actually drew a double edged sword that backfired miserably. The zealous rabbinic court, which misguidedly saw the case pending before it as an opportunity to undermine Masorti Judaism in Israel, actually drew a double edged sword that backfired miserably. 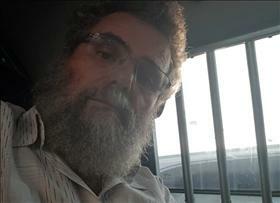 Every news channel (TV, radio, online outlets, and the written media) has been covering Rabbi Haiyun’s detention. This was a symbolic and effective ending to a stormy week. The Knesset has passed the controversial Nation-state law. The country is (more than ever before) discussing the equal rights of homosexuals to build families through surrogacy. On Sunday, a country-wide protest of the LGBTQ community and its supporters will be held in protest of the Knesset’s vote on this matter. Once again, we are seeing how critical matters of religion and state are to so many facets of the life of the country and the rights and dignities of its citizens. Clearly, the politicization of the issues of religion and state and the continued surrender of the civil coalition parties to the demands of Israel’s ultra-Orthodox politicians results in increased awareness and support for the cause of religious freedom and equality. There has been more talk in recent months about the Knesset elections being pushed forward – we at Hiddush are now gearing up to gauge the public’s opinion on the impact of the religion-state conflict on Israelis’ votes in the coming elections. While we cannot know in advance the survey’s findings, one thing is clear: Israelis’ impatience and revulsion for the growing pressure applied by the Haredi parties is palpable. It has reached an explosive peak a number of times in Israel’s election history – most recently with the rise of Yair Lapid’s Yesh Atid party. It will be no surprise if it plays a key role in the coming elections. These developments will hopefully encourage you to monitor, be educated, share the reality on the ground in Israel with others, and realize that for those of us who care passionately for Israel, partnering with Israelis, working with the Jewish Federations and religious movements to promote marriage freedom in Israel, and supporting the work of Hiddush and other advocacy groups is becoming more and more of a priority. Please don’t hesitate to share your comments, queries, and suggestions with us for additional background. We will be more than happy to engage in discussion with you.